Happy Monday everyone, I hope you guys had a terrific weekend! It was a little chilly here but Daarik and I kept busy so we didn’t mind the cold too terribly. I got to bake some this weekend and one thing that I made was from Kristin Cavallari’s book Balancing in Heels. Her book is about health, happiness and how she makes it all work. It’s an inspirational book; she also included some recipes in it and I am dying to try all of them. The one recipe I did get a chance to make was Green Banana Muffins, one word for these muffins- YUM! Daarik is basically allergic to anything green (we’re truly opposites) so I couldn’t get him to take even one bite 🙄. But if you’re a healthy eater and need a little mommy inspiration (no I’m not a mommy, I just adore the author), get her book for sure! 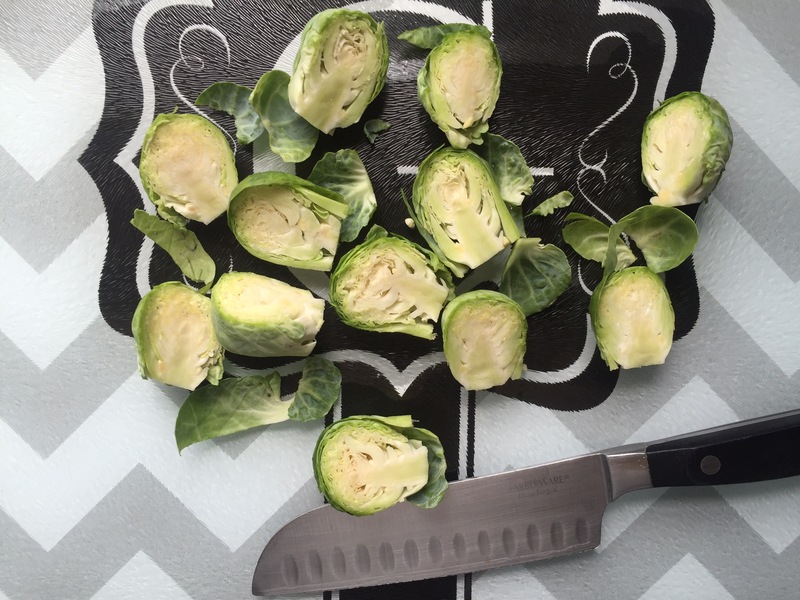 Moving right along here… since we’re talking food (now I’m starving) who else has tried a million different ways to make brussel sprouts?! As a kid, I never had to try them because my mom didn’t like them so she never made them (thanks mom). As an adult, I’ve tried every way possible to cook these bad boys, never liking any recipe I followed. 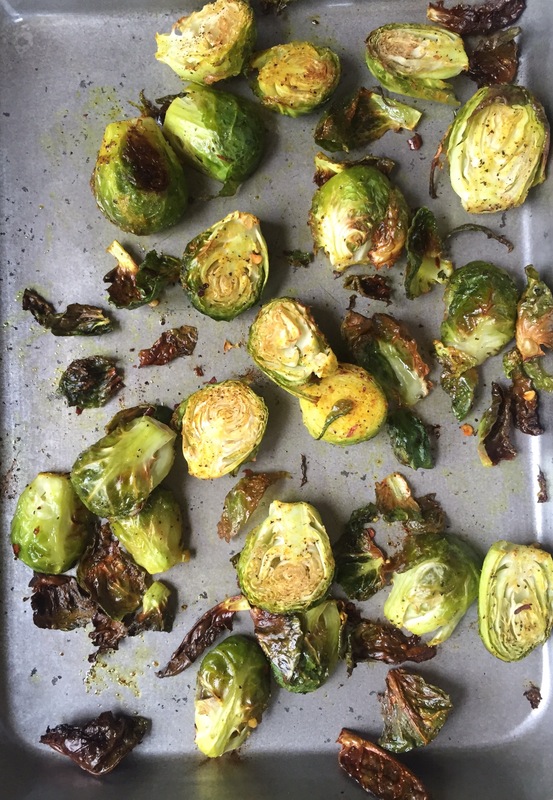 I felt like I had to achieve the perfect recipe, because I couldnt fail at not liking brussel sprouts!! They’re healthy, they’re green and it’s just tiny cabbage; I love cabbage!! So, I rustled through my cabinets and ended up with the most delicious and my new favorite recipe ever! 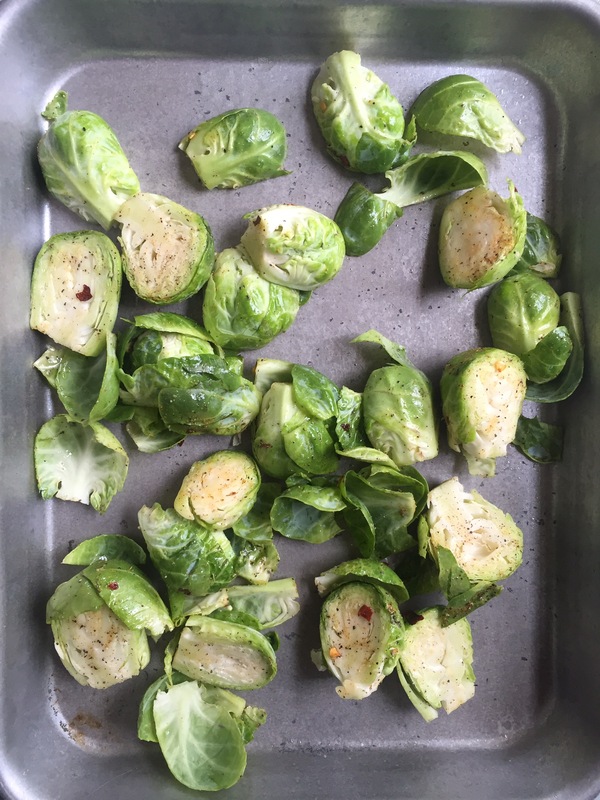 Rinse the sprouts, cut in half and rub the olive oil and spices on them. Preheat oven to 400 and bake for 15 minutes or until they begin turning brown (roasted). And there you have it, the only way I will eat brussel sprouts, simple and delicious. Just the way I like it!